While packing for a week’s vacation in Michigan, I received an email from my agent. She had heard from The Editor, the one who had expressed interest in my writing after reading my novella, and she wanted my thoughts about his reaction to my first full-length novel. This was the moment I’d been waiting for – the feedback I’d been craving. And I had been rejected. But it’s okay. I’ve been doing my best to maintain realistic expectations along this journey, so I wasn’t devastated. That being said, the rejection still stung. With these words in mind, I reread the editor’s email with a different perspective and really focused on his message. He hadn’t rejected me – he had rejected the book. I embraced this rejection as a great learning opportunity. As I listened to the feedback, I began to brainstorm ways to improve the story. I listed these ideas for my agent, and she thought they would be easy edits. Once we had returned home from Michigan, I revised both the manuscript and the synopsis and sent them off to her to resubmit. Our church’s summer series was called Spark, and we heard from a variety of speakers who shared “new ideas to ignite your life.” In this short video, Natasia Malaihollo explains how God shows up in the midst of rejection with something bigger and better. 2. A few days later, my husband encouraged me to listen to the first part (Commandment 1) of a podcast he’d heard during his commute: The 10 Commandments of Startup Success with Reid Hoffman. I was shocked to learn that Kathryn Minshew, co-founder and CEO of The Muse, a career development website, faced rejection 148 times before she had success. From the conversation, listeners learn how to interpret rejection and how to embrace it as a gift. 3. 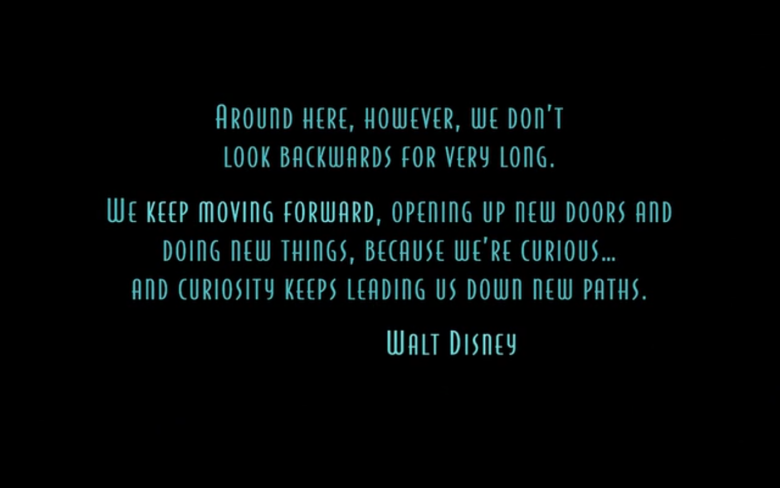 The day before we left for Michigan, it was suggested our family watch the Walt Disney movie Meet the Robinsons. We borrowed a copy from the library and watched the movie once we returned home from vacation. Lewis, the main character, is an orphan whose attempts to be adopted have failed and an inventor whose inventions end in disaster. 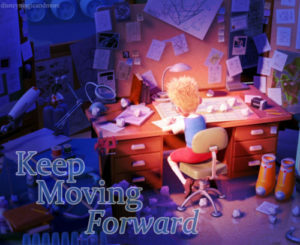 He learns he needs to let go of the past and keep moving forward to achieve the greatness he desires. Got it. And just in case I had lingering doubts, we heard another related message at church. Want greatness? Ask these two questions: Who can I learn from? And who can I serve? As I begin writing my next book, I will continue to ask these questions, work for peace, and keep moving forward. You are an inspiration Laurie! I’m glad you are not giving up. Your talent will shine!